Yaguchi Law Firm assists start-up, emerging and established businesses with their business, international, technology and licensing transactions. We serve local, regional, national and international clients in diverse industries. 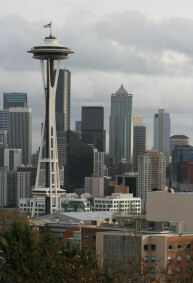 Yaguchi Law Firm assists clients in its Seattle office and its affiliated office in Tokyo, Japan. Where appropriate for our clients’ needs, we associate with attorneys and other allied professionals locally or in jurisdictions where our clients have business interests. We invite you to view this site. Please feel free to contact us with inquiries regarding our services. At Yaguchi Law Firm, we focus on relationships with our clients. We learn about our clients’ businesses, industries and objectives to provide custom crafted legal solutions that meet each of our client’s unique needs.